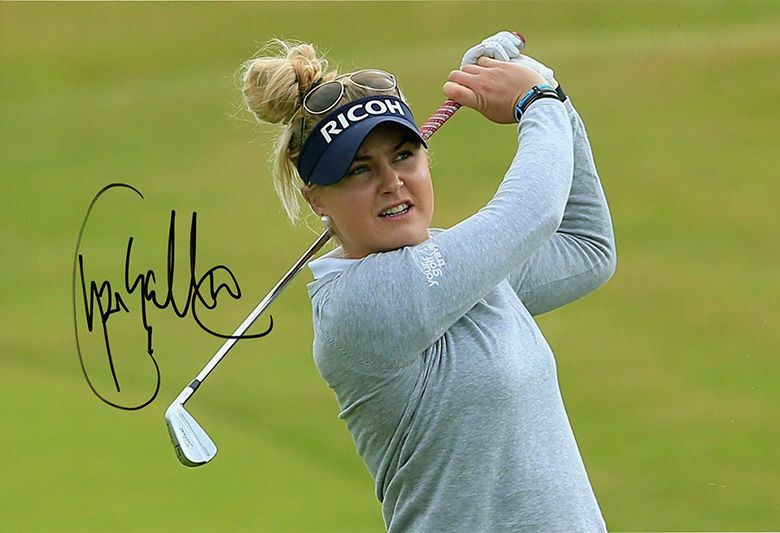 Charley Hull English golfer signed 12x8 inch photo. 12x8 inch colour photo signed in person by English golfer, Charley Hull. Hull has achieved success on both the Ladies European Tour and the LPGA Tour. She won a Ladies European Tour event before her 18th birthday and in 2016 she won the prestigious CME Group Tour Championship, the season-ending event on the LPGA Tour. She was the youngest person to play in the Solheim Cup.